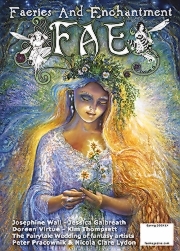 The latest issue of FAE is as exciting as ever with lots of new and exclusive features including "Dear Faerie Goddess Mother", where the magical Dancing Hands answers your questions relating to all things Faerie. We are honoured to exclusively present to you (for the first time ever!) the art of Sparkle the Fairy. 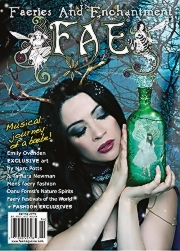 Inside this jam packed issue we have articles from some of the worlds leading authors and artists, including Brian and Wendy Froud. 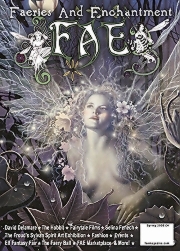 We are very excited to welcome Doreen Virtue to the FAE team for the launch of her regular Fairy column. 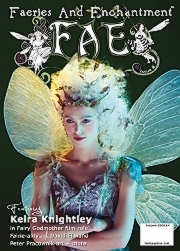 Artist Tytania Fairy has transformed Doreen into a magical Mer-Fairy, and is featured on the cover of this sizzling summer edition. You could also win a magical portrait worth £1,000 by fantasy artist Helen Wells. 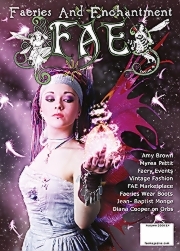 FAE Magazine's 2nd Birthday issue! celebrates, not one! but two faery unions! 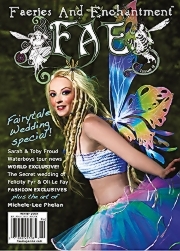 Toby Froud weds Sarah Morgan in a truly Froudian style with a UK AND a US celebration! 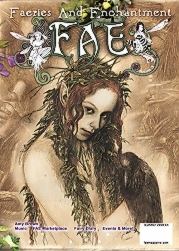 and FAE has all the lovey piccys to share with you, plus a word on the couple's union from Wendy Froud. 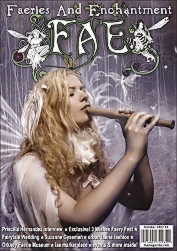 We also present EXCLUSIVE Photographs from the surprise Faery Blessing in Avalon of Felicity and Oli Le Fay. There's also EXCLUSIVE pics from the debut Avalon Faery Ball and Faery Fayre held in Glastonbury, and pics from the Elf Fantasy Fair.